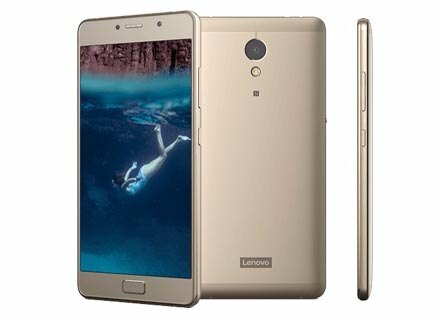 The Chinese company Lenovo always trying to fill the Smartphone with Load of features, Now they have launched Lenovo P2 With Ultimate specification under decent price, But it also has some noteworthy Advantages and Disadvantages pointed in this article. The main features of Smartphone are 5.5 inches Full HD Super AMOLED Display, Android v6.0.1 (Marshmallow) Snapdragon 625 Processor, 13 MP Primary | 5 MP Secondary Camera, 32/64 GB Internal Storage, 128 GB SD Card Support, 3/4 GB RAM and 5100 mAh Battery. The phone is designed nearly same as Lenovo K6 Note, Metallic aluminum unibody is compact and sturdy enough feels equally good in the hand. The smartphone is a little bit thicker and heavier than counterpart devices because of a massive 5100 mAh battery. when glanced over the edges. The right side has volume rocker and power button, while the hybrid SIM tray and power-saving key to enable Ultimate Power Saver mode is on the left. 3.5mm audio jack on top and Micro-USB port along with speaker grilles on the bottom. The display of handset is lovable as front face is covered by the 2.5D curved glass configuring 5.5 inches Full HD Super AMOLED Display with density of 401ppi. It makes the screen much sharper and vibrant for watching your favorite kind of media. Another good factor about the display is that it also has good sunlight visibility and doesn't fade from different viewing angles. However the company doesn't provide any kind of special protection for the display. There are no dedicated back/recent capacitive buttons, the navigation bar is shifted inside the core display and fingerprint sensor is molded with physical home button. There is 13MP camera set as Primary shooter and 5 MP Camera as secondary, If you will decide to capture photos in daylight conditions most of the time it will produce decent photographs although night photos are not so clean and detailed but if there is sufficient lightening on the object it will be quite better. 5MP Selfie camera is also following the rules of primary camera; if light is good it will form well balance in color saturation with minimum noise. Overall Camera is Good for daylight and average for night hours. The phone is powered by the Snapdragon 625 Quad-core processor, although it is not powerful as Snapdragon 820 but enough to operate and run most of the tasks without any kind of hitching. There is 4GB RAM accompanying the processor where most of the time more than 1 GB RAM is free, So multitasking is fun in this handset and it is also able to run graphic intensive games pleasantly. This phone has more battery capacity than many available power banks in the market, The 5100 mAh capacity battery providing 79 hours talktime over 3G network which is really impressive for a 5.5 inches smartphone, even its standby time of 768 hours is way better that many feature phones. It is also featuring quick charge feature that can charge your mobile in 15 minutes for 10 hours battery backup and it takes around 1.5- 2 hours to fully charge the battery. Vibrant and Sharp Full HD sAMOLED Display. The Snapdragon 625 CPU along with 4 GB RAM performs well. A Massive 5100 mAh battery with 768 hours standby time. Camera is quite average in low light condition. No dedicated backlit navigation bar (On-screen navigation buttons). The Lenovo is impressive Smartphone in all the ways; It has great metallic design with premium feel, A good combination of Snapdragon 625 and 4 GB RAM, An Impressive vivid 5.5 inches sAMOLED display, 13 MP Primary | 5 MP Secondary camera with above average photo quality and most important 5100 mAh battery that can run for the several days without charging and another good thing about the battery is its charging time as it supports quick charging that can fully charge the huge battery withing 1.5 hours. In same price range also have a look at Motorola Moto M and Nokia 6. Well explained in short. You had cover all the Points of Pros and Cons.